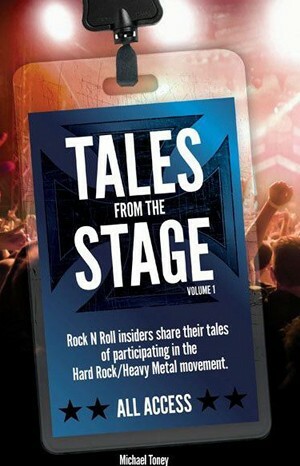 Sleaze Roxx recently caught up with author Michael Toney to talk about his fantastic new book entitled ‘Tales From The Stage, Vol. 1’. The novel was released on June 29th and has been getting a huge push by the participants involved, industry and media outlets. The book is right up the alley of Sleaze Roxx readers as many of the names in the book, including members of the Scorpions, L.A. Guns, and W.A.S.P., will be very familiar to you. Check out this interview and also pick up a copy of the book — it’s an easy read. I sat down and read it in a couple of hours, something I haven’t done in ages. Sleaze Roxx: What inspired ‘Tales From The Stage?’ You wrote a similar book with mixed martial arts fighters didn’t you? Michael Toney: Yes, back in 2008 I was entrenched in the business of MMA. I had many contacts in the field, and thought that writing a book consisting of interviews with those in and closest to the sport would be a good way to promote my business. That book was called ‘Tales From The Cage’, and really ended up being the catalyst for ‘Tales From The Stage’. I ended up switching jobs right as the MMA book was being released and wasn’t able to promote it the way it should have been. Years later, when I found myself with some spare time in 2011, I figured it was as good a time as any to tackle this project. 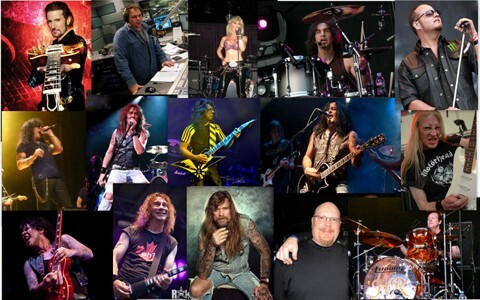 I have played drums since 8th grade and was in several hard rock bands around Detroit in the mid 80s. Music has always been a passion of mine, and by developing the book it has kind of brought me back to the hard rock music community — which I really missed being around. Sleaze Roxx: Was it hard to convince a publisher that there is a market for a book of hard rock and metal interview compilations? Michael Toney: That’s a great question, and something that I put a lot of thought and research into. Bottom line… I self published the book. I am self-admittedly a very impatient guy, and enjoy taking a project and running with it. If I were to shop the idea to a publisher, secure one, develop the content, format the text and photos, go to print, and then promote the book… we’re talking about a lot of time, realistically it was about two years or so. I did ‘Tales From The Stage’ in five months. Some of the content is time sensitive, so I thought it was important to get it out sooner than later. Now, I’ll admit there were plenty of 60-70 hour work weeks, but 95% of it was a blast! Sleaze Roxx: I enjoyed the book from start to finish. You have 15 feature interviews, how did arrive at that number and how well did you know all of the participants going into the book? 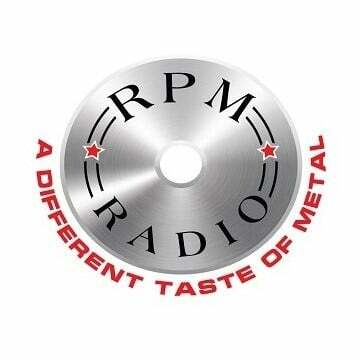 Michael Toney: Thanks for the compliment! Originally the number was 13 — it seemed kind of ‘metal’. Bad or unlucky, you know? Similar to 666, I guess. But later I thought 13 might be too small a number. The stuff these guys were giving me was awesome and I didn’t think anyone would complain about two more interviews in the book so we bumped it up to 15 — it was that simple. Other than Paul Shortino and Ron Keel I really didn’t know the other participants when the idea for the book was conceived. I went to NAMM in January, and that’s where I made my initial contact with Chris Holmes, Jeff Duncan, and Jay Reynolds. After that, everything just fell into place. 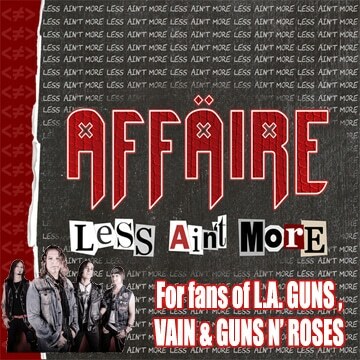 Sleaze Roxx: I imagine there were interviews that didn’t make the book? Michael Toney: Only one, and that was a drag. I had met this guy at NAMM as well, and we literally sent three dozen emails back and forth over a six week span of time. Finally, we did the interview. As you know, I can get a little personal with the questions that I ask. I am respectful though, and always make it clear that if something hits too close to home we’ll move on to the next question. This guy answered everything, with no reservations — as far as I could tell. I felt great about the interview as he gave me some good stuff about him and his band that was pretty exclusive. As I was going to bed that night, I saw the red light blinking on my phone — he had sent me an email. That’s all I’ll say. If you have read the book, you’ll know exactly what I am talking about! I’ll never say who it was, because he was very cool and I respect the guy. But that stung for a while. Sleaze Roxx: You obviously asked questions that are pertinent to their profession but you also asked the participants some personal questions about their finances, their homes, cars and their love life. Was that hard for you to build up the nerve to ask? Also how did participants react to these questions? Michael Toney: (laughs) No, no. Everyone was cool with it. I think the biggest advantage I had going in was the fact that I am not a journalist — I am a fan. I asked the questions, as a fan, that I would want to know. I didn’t have prior journalism training that may have told me not to ask a certain type of question. When I read I like to learn things and be entertained. If I ask the same questions that these guys have answered many times prior, how can I expect others to learn or be entertained from my interview? I’m actually hoping to take it up a notch in Volume II. 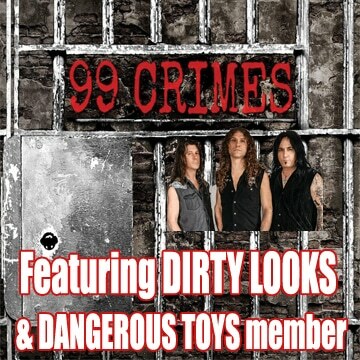 Sleaze Roxx: What was the hardest interview to set up? Michael Toney: Ironically, probably the one that I didn’t use. They really weren’t that difficult to set up. Tracii Guns had just started a tour in Europe when I reached out to him, so I had to wait a few weeks until he came home, but nothing was too tricky with any of the gang. Sleaze Roxx: How many people turned you down for an interview? Can you say who they were? Michael Toney: Anytime you start something new, and ask people to participate, they’re cautious. I will say this. Generally speaking, if I could make contact with the artist, they would usually jump on board. If I had to work with a publicist it was much more difficult. That said, Kris who is the publicist for Tracii Guns, and Jenny the publicist for Lips, were both amazing! They were both incredibly prompt and incredibly efficient. Everyone else in the book I worked with directly. I was turned down by several publicists for guys like Michael Anthony, Michael Wilton, and Warren DeMartini. I really wanted to visit with Jake E. Lee for the book, and I even know him, but he is a very private guy and turned me down. Matt Sorum was another. 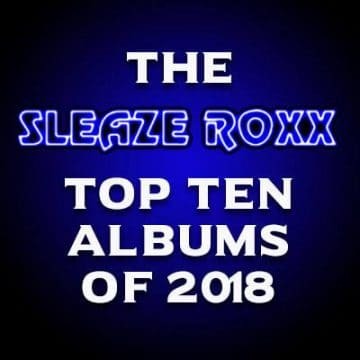 Sleaze Roxx: You asked me for my top three interviews; I went with Tracii Guns who I personally would love to interview at some point, Tim ‘Ripper’ Owens who is a hell of a nice guy and Bruce Kulick who I’ve also had the pleasure to interview. I threw in a fourth one; the Paul Shortino interview was fantastic, I’ve interviewed him for Sleaze Roxx and he was a blast. What are your top three and why? Michael Toney: I get asked that question more than any other, and it’s really like the ‘favorite kid’ question. There are parts of every interview that I loved and had an amazing time working with everyone. If I can change the question a little… who do I relate to the most? That is easier to answer, and I would say Ripper. We’re both musicians, we are the same age, both from the same area, and we love the same music. When you read his interview you can tell how humble he is. The guy is in five different projects, touring the world most of the year, and he mentions that at the beginning of each year he worries about booking enough gigs to pay the bills. I hope when people read that in the book that they know he was being serious. He’s a humble, very cool guy. Sleaze Roxx: I noticed that many of the participants in the book were promoting ‘Tales From The Stage’ on their Facebook pages. How did that get set up? Michael Toney: From the start I felt that the most important thing to making the book successful was the cutting edge content. The second most important thing was the promotion. When discussing each person’s involvement in the very early stages of the book, we discussed promotion. It certainly wasn’t a mandatory thing to help out, but when we decided to do the soft release of the book on Friday, June 22nd to the friends and fans of the participants, it was amazing. The night prior I was up till 4am making sure we were ready to go, and when I awoke at 8am Eddie Trunk, Ripper, Ron Keel, and Brian Slagel had already sent out posts to their Facebook friends about the book, asking them to check it out. Around 10am Chris Holmes did the same and that’s when the madness really started — his fans are passionate, man. Shortly after that Paul Shortino, Jay Reynolds, and Jeff Duncan did the same and that’s when I got a call from my web guy — the site was crashing! It only went down for five minutes, but it was a really a cool thing in hindsight. The traffic the website was experiencing was 10x more than the biggest day we had seen previously. The orders kept us running all day, and I’m proud to say that they all shipped within 24 hours after the order was placed. Sleaze Roxx: Just a couple more questions, not related to the book but regarding current happenings in the world of hard rock and metal. What’s your take on the Queensyche/Geoff Tate situation? We’ve talked before that you know him, do you think he was blindsided by his dismissal? Michael Toney: I haven’t visited with Geoff for a couple years, so that is tough for me to say. I do recall something that raised an eyebrow a while back. I should preface this story by saying I realize that backstage areas and dressing rooms at most venues are unique. Around 2002 when Queensryche would come to Las Vegas, we would all hang out in one dressing room at the House Of Blues… the entire band. It was never crazy, but it was jovial and somewhat lively. A year or two after that Geoff had his own dressing room at the same venue. I just figured since he had his family on the road with him that they wanted the extra space, and that was probably the case. But when I poked my head in the other dressing room it was very somber. Tense isn’t the right word, but it wasn’t as light hearted as I had seen it in the past with those four guys. Perhaps Geoff’s dressing room was being renovated my first visit backstage with the band, and Geoff usually had his own dressing room on the road? I don’t know. But, I am basing this on seeing Geoff once, maybe twice a year, so my sample of experiences to poll from isn’t huge. He’s a good person, and amazingly talented. He will land on his feet someplace soon, and I wouldn’t doubt that it’s Broadway. Michael Toney: It could be a whole lot of things, but I really have trouble with the ‘fatigue’ story. I understand these guys aren’t 20 anymore, and I know it can be difficult to get a good night of sleep on the road, but these guys play two hours a night? Let’s say they each have an additional three hours of press work to do each day. Pre-show, post-show, showering, eating… throw another five hours on there, that’s 10 hours a day. What are they doing with the other 14 hours? It could be a lot of things, but I’m not buying the ‘fatigue’ stuff at all.